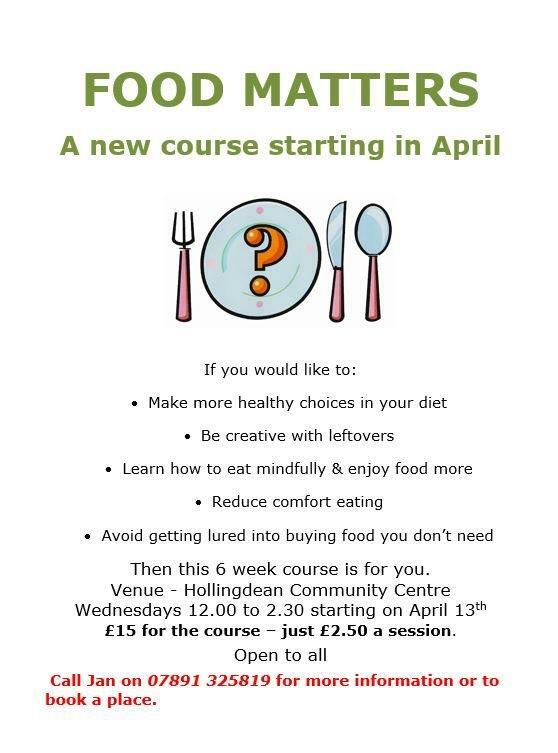 A new 6 week course starting in April can help you make healthy, creative choices about what you eat, help you manage your diet and enjoy food more! The course starts Wednesday 13 April 12:00 – 2:30pm and is just £15 for the course or you can pay £2.50 per session. See the Food Matters page for more details, or click on the image. This entry was posted in Activities, Learning, Treatments and tagged activities, classes, fitness, food, health. Bookmark the permalink.